Roman Numerals Converter make conversion from Arabic numbers to Roman numerals or Roman numerals to Arabic numbers fast and easy. Simply enter the number to the box on the top, you will get the exact representation of the number in Roman Numeral Symbols. Or enter the Roman Numeral to the box on the bottom and turn it into an ordinary number. 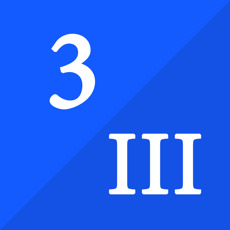 The numerals for 4 (IIII) and 9 (VIIII) proved problematic (among other things, they are easily confused with III and VIII), and are generally replaced with IV (one less than 5) and IX (one less than 10). This feature of Roman numerals is called subtractive notation. Note that 40 (XL) and 90 (XC) follow the same subtractive pattern as 4 and 9. Again - 400 (CD) and 900 (CM) follow the standard subtractive pattern.